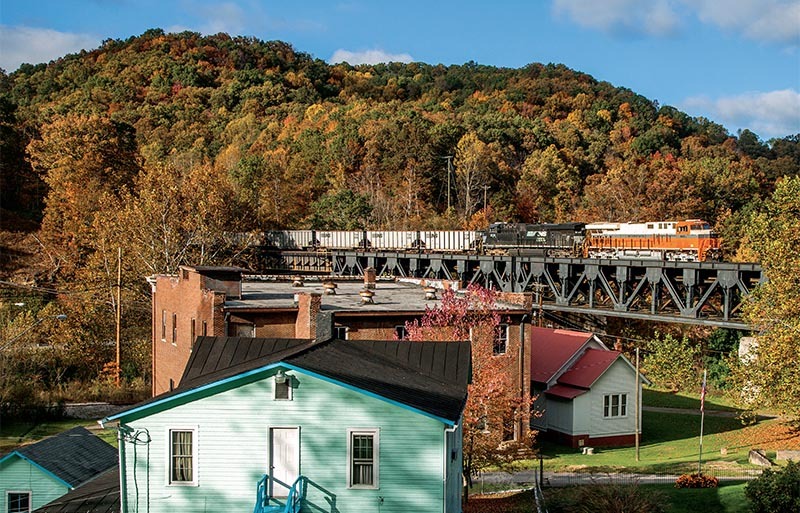 A beautiful autumn evening in Coopers, W.Va., greets the passing of the Interstate heritage unit assisting empty Train 825 west toward Eckman Yard in Keystone on October 13, 2013. It is very rare to see westbounds acquire pushers, but it made sense in this instance. J55 assisted the head-end crew in splitting up the huge train into four cuts to be put away in the yard — the pushers made several push-pulls to get the train into the yard tracks. My earliest railfan memories are of seeing endless coal trains rolling over former Norfolk & Western and Virginian trackage. 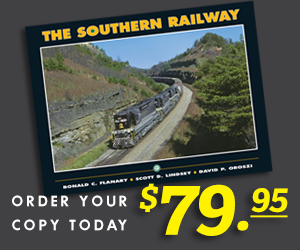 Growing up, I spent most of my time close to home along Norfolk Southern’s Christiansburg District between Roanoke, Va., and Bluefield, W.Va. Back in the early 2000s, it was nothing for my dad and me to see 10 to 15 trains climbing Christiansburg Mountain in a single afternoon, most of which were empty hopper trains — just another day on the railroad. Nowadays, one might see five westbounds, if that. 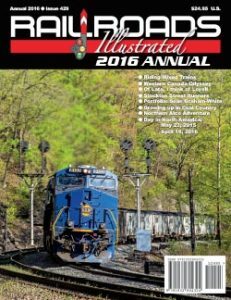 I remember going to the annual model train show in Bluefield as a child. Along the way, I marveled at the yard full of coal loads and empties. Dad’s scanner chirped continually as the Pokey Dispatcher talked to numerous crews entering and departing the yard. This bustling town had a promising future. Families flocked to the area for good-paying jobs and a place to raise their children. In 2002, when I was six years old, the thought never crossed my mind how much coal traffic would decline by the time I turned 21. I just couldn’t fathom loaded coal trains being an exception rather than the rule. I loved where I grew up, making the most of it railfanning with my dad and giving little thought about the future. When I started seriously documenting the railroad in 2009, I thought the shots I took might be worth a lot one day, you know, 40 or 50 years down the road… not five or six. 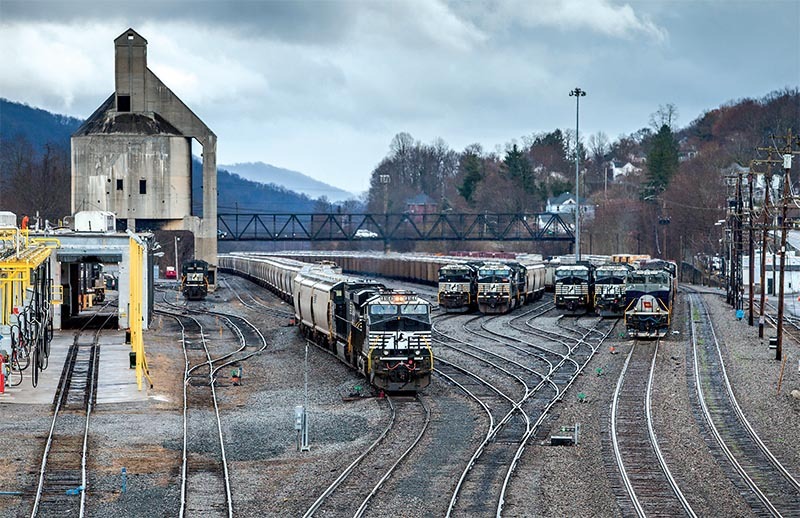 A sight for sore eyes… More times than not, Bluefield Yard will stay mostly empty with a train sitting here and there. That was not the case for March 13, 2016, when the yard was absolutely packed out with trains as Train 55W departed fourth in line behind other westbounds. Having learned how to drive, I started to explore the Pocahontas Division, commonly referred to as “the Pokey,” and its surrounding branches. I immediately fell in love with this awesome area. I saw decent traffic levels during my visits in 2010. I remember driving to the Pokey along Highway 52, passing loaded coal train after loaded coal train grinding up Elkhorn Grade. The sound and experience of watching a coal drag climb the mountain grade toward Elkhorn Tunnel reminded me of earlier times. Home will always be the Christiansburg District, but the Pokey and surrounding area captured my heart. The train had only a couple more miles to go before reaching the summit. The ground shook as the head-end thundered past me, their prime movers fully engaged for the task at hand. For the next five minutes, 100 loaded coal cars marched by in succession before the sound of AC motors began filling the air. The ground rumbled once again as the pushers earning their keep came into view. The distinctive sound of flange squeal once again dominated the surrounding valley and then slowly retreated into the night. Soon after that, the sounds of nature reclaimed the area as darkness fell. 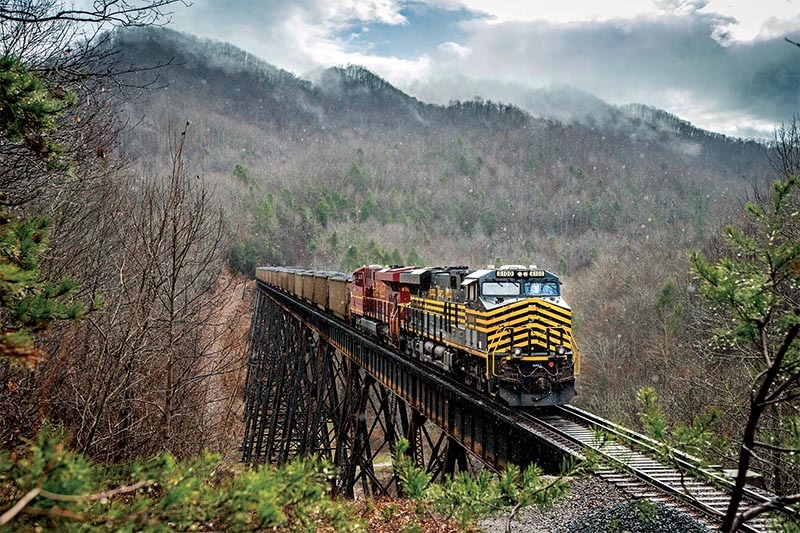 The Nickel Plate and Lehigh Valley heritage units shove Train 80A upgrade across the magnificent trestle at Amonate, Va., on the Dry Fork Branch as heavy rain falls with a hint of sun peeking through, creating a magical scene on December 13, 2015. 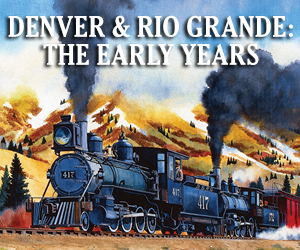 Looking back at the CPLs — sentinels of a bygone era — my mind wondered how railroading was 50 years ago and even before then. Sure, I enjoyed somewhat steady traffic during this visit, but the number of trains now was a mere shadow of the line’s former glory. Oh, what I would give to be able to stand at Maybeury and watch a coal train crawl upgrade with a Y6 Mallet on the point. Or better yet, seeing 75 trains a day on the Pokey!